"Excellent vulnerability scanning solution - easy to use and effective, a must have for tech startups"
Intruder allows us to run regular vulnerability scans across our tech platform to reduce any vulnerabilities in our systems, which is critical for a tech startup. Best of all, we don't need any dedicated resources to manage it, it's simple to use and maintain and the team behind it are great. Highly recommended. There are a few nice to have features missing, but after speaking to the team these will be introduced as the product evolves over the next few months. Intruder is the easiest platform to use when running vulnerability scans across your infrastructure. It's cheap, efficient, and doesn't require a full time resource to manage it, it makes scanning your infrastructure easy. The team behind the tech are also great and ready to help if needed. They respond through their app very quickly and are really good at explaining the tool and guiding you through the features. I have recommended Intruder to a few friends who run tech startups and most of them have adopted the platform and love it too. As a B2B tech startup we need to make sure we're as secure as possible, a breach could be the end of our business. Intruder helps us to mitigate that risk. We also frequently get audited by our customers. Intruder allows us to sail through these audits with their regular scheduled scanning reports, which is great as it speeds up our procurement cycles with Clients. "Essential too for any startup - protect your customers data and meet compliance requiremetns"
Intruder automates my security - it's like having a CIO without having to pay for one. All my services get audited as soon as new vunerabilities are discovered, and full scans can be run on demand or on a monthly basis. An easy to understand security score is provided, along with instruction on how to remediate issues. More technical users can deep-dive into reports and fine tune their own security as needed. I would like to be able to re-scan individual targets which I currently cannot. That said, I am informed by the excellent support that this is on the roadmap and that usually means we'll have it in the next month or two! This is a great value for money product, and scales with your business. We went from just 1 server being scanned to 10 in a short time with no issues. Also used this before at another startup that dealt with the finance sector - which also has tough compliance checks and intruders service helped us pass with flying colors. We keep a lot of insurance customer details, some of which are very sensitive. Intruder gives our customers (the insurance companies) comfort that we maintain a high level of security for their customer data which they entrust to us. Thanks to intruder we where able to pass some of the worlds toughest security compliance checks. Cyber security is so important - we provide a payments platform, we couldn't do it without knowing our customers were secure using it. Intruder is making sure we don't have any weaknesses where hackers could break in. Simplicity: We are using Intruder reports also for non-technical sales people, who otherwise are having a hard time demonstrate our state of security. Of course nothing can provide 100% protection, but for the cost, Intruder does a lot to help us. We are always having to prove our security to customers - we are handling their payments data so it is the first thing they ask. It's nice to always have a recent report to show them proving our systems security. "Peace of mind when using internet-facing services"
Intruder is simple to set up and use. It allows me to implement, and change, blogs, active websites and web services without worrying that I've included a simple vulnerability and will be easily hacked. Nothing, really. Maybe some integration with some enterprise tools? Try it out! It's easy to configure and trial. The team is both deeply technical and good at communicating. Don't try and set up your own vulnerability scanning — it's easier and safer to leave it to professionals. I work in the cyber security industry, offering advice and comment, so having simple vulnerabilities in my web-facing services would be very damaging. I trust Intruder to cover me for this, with good remediation advice on anything I forget. "Life saving, could not run my business without it"
We are a small team and we cannot spend time looking into security issues every day. Intruder's proactive scans mean that we get notified as soon as there is a problem, because Intruder is always watching over us. Would be nice to have the opportunity to schedule daily scans, but the proactive scans mean we are always covered against the latest threats. As a provider of technology for children and seniors, the cyber security of our tech could not be more important. Intruder helps us keep our products fully up to date with the latest security patches, and helps us avoid serious data breaches. 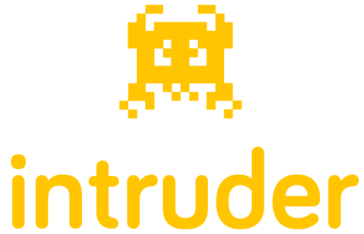 "An essential tool for any technology company - Intruder makes security easy"
Intruder is so simple to use, but does such an important job, protecting our customer data against new vulnerabilities that get discovered on a daily basis. I like the reporting it does, and the feeling of "set it and forget it". It's a relatively new platform so it doesn't have as many features as some of the others we trialed, but it makes up for this with simplicity. You can get started easily - takes minutes to set up, really easy. We hold customer data and frequently have to prove our security for customers, our investors, and Board. * We monitor all Intruder reviews to prevent fraudulent reviews and keep review quality high. We do not post reviews by company employees or direct competitors. Validated reviews require the user to submit a screenshot of the product containing their user ID, in order to verify a user is an actual user of the product. Hi there! Are you looking to implement a solution like Intruder?